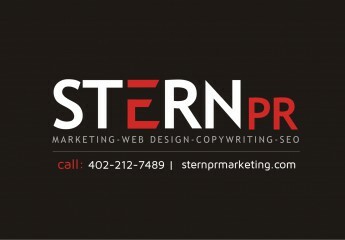 Stern PR™ web design Omaha, Nebraska is a full service, one-person marketing firm specializing in Omaha Web Design Development, Corporate Video Production & Search Engine Optimization (SEO) in Omaha, Nebraska. Marketer Susan Stern is dedicated to streamlining your Omaha company’s overall image, making your Omaha business website look great and rank high for the search engines! Stern PR™ specializes in complete Omaha marketing services – on & offline. Stern PR™ handles it all in one person & that translates into affordability & consistency. From Omaha NE copywriting, brochures, logos, newsletters, print advertisements, radio/TV/Internet commercial production & voice-over, videography, photography, event planning & more. Omaha Marketer Susan Stern is the go-to person for all things communication. Visit Stern PR Website Now!